Jaime Souers with the Pinnacle Real Estate Group of Lake Tahoe, Inc.
Jaime has lived in South Lake Tahoe since 1990 and grew up in the real estate business. Prior to forming the Pinnacle Real Estate Group of Lake Tahoe, Jaime’s real estate team had earned national levels of recognition with one of the country’s most recognized real estate franchises. Over the years, this recognition has included awards representing superior client quality service and sales performance. This level of sales experience, quality service and guaranteed results has carried over into today’s ever-changing real estate environment. As a graduate of Humboldt State University, Jaime holds a degree in Sociology and a Minor in Family Studies. She has also received a California Multiple Subjects teaching credential from National University and has previously taught grade school in the Lake Tahoe Unified School District. 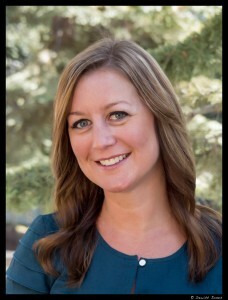 Jaime’s experience also includes working for one of South Lake Tahoe’s largest vacation rental management companies giving her additional insight to the needs of property investors in Lake Tahoe. Her leadership in the real estate community was recognized when awarded the 2013 South Tahoe Association of Realtors® Community Service Award Designation. When working with Jaime Souers, you can count on receiving the benefit of quality service, integrity and dedication combined with the expertise of an experienced family real estate team.